You’ll find that we are the best cleaning service company you ever could have found during your “home cleaning services near me” search in the Charlotte area. Whether you need help around the house because of increased demands on your time or to prepare for the holidays or houseguests, you started the ball rolling with a search online for “home cleaning services near me” in the Charlotte, North Carolina area. Luckily, you found us here at Fiv5 Star Cleaning because we have a reputation for quality and integrity, along with a willingness to be flexible and provide any extra services you may need. Quality is assured because we thoroughly screen our company employees and never use subcontractors. Furthermore, our owner provides one-on-one training to ensure that each team we send out will meet our high standards for professionalism and quality cleaning results. We always send out a team of two professional maids so that nothing is missed. While each are experts and have years of experience, we have found that it never hurts to have a second set of eyes when you want the level of quality that we demand. Plus, the job gets done faster! 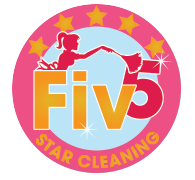 Find out more about what Fiv5 Star Cleaning is all about! In addition to providing home cleaning services you can trust, we are also willing to help out with whatever you need to make life easier. Never hesitate to ask us about even non-cleaning services you may need, such as serving food at a party, picking up dry cleaning, walking your dog, or anything else. You’ll find that we are the friendliest, hardest working, and most accommodating cleaning service company you ever could have found during your “home cleaning services near me” search. Give us a call today to learn more and arrange for a free estimate for your cleaning and non-cleaning service needs. At Fiv5 Star Cleaning, we can help if you’re looking for “home cleaning services near me” in Charlotte, Concord, Cornelius, Gastonia, and Mooresville, North Carolina, as well as Rock Hill, South Carolina.